Join us on Sunday Mornings before and during 10:30 am worship. LITTLE LAMBS NURSERY – birth up to age 3. Room 102 is furnished with a crib, rocking chair, changing table, and TOYS! We have a rotating volunteer staff to interact with the children. We have a nursery coordinator but need an adult volunteer each week to spend time with our youngest flock. CHILDREN’S CHURCH – Ages 3 through 6th grade. SUMMER VIDEO SERIES – Ages 3 through 5th grade. During the summer months at the 10:30 worship (in place of Children’s Church). The children leave the worship service after Children’s Time, move to the Youth Room for a 30 minute video and a snack. 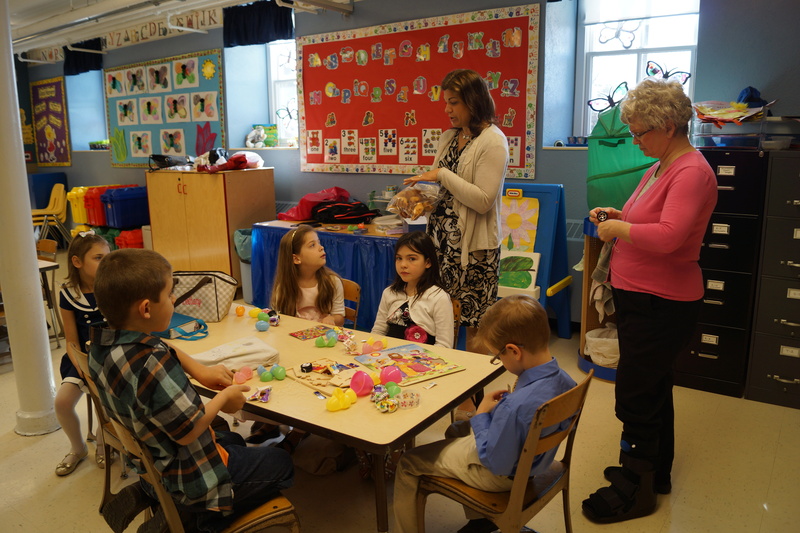 SUNDAY SCHOOL – Ages 3 through 5th grade. Provides an opportunity to discuss teen issues in a Christian environment. This is a special year of growing in Christ for 8th grade students and older. High School students meet and talk about their concerns in a faith-based setting. 9th – 12th grade.